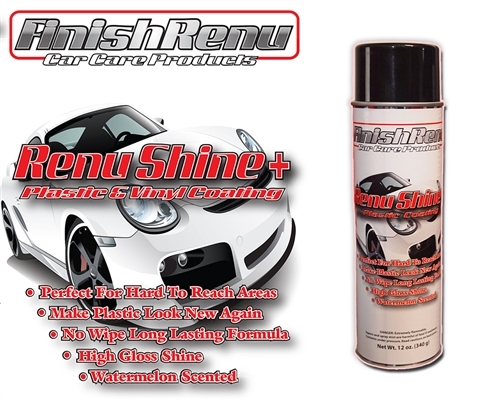 Renu Spray Shine is perfect for hard to reach areas and can make plastic look new again. The specially designed no-wipe formula is long-lasting and will leave your surfaces with a high-gloss shine. 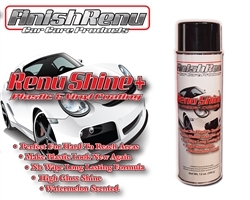 Renu Spray Shine contains specialty silicones and oils which will protect the vinyl, plastic, tires, gel coats, dash boards, seats, rubber hoses and stainless steel on your vehicle.